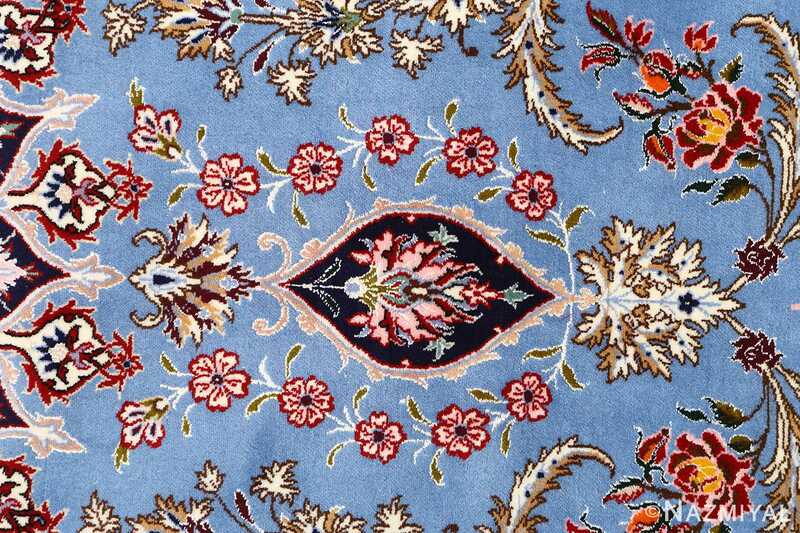 Magnificent Blue Background Vintage Isfahan Persian Rug 51146, Knots Per Square Inch KPSI: 500, Country of Origin / Rug Type: Vintage Persian Rug, Circa Date: Late 20th Century - The Persian Isfahan rug style of weaving has had a historically significant influence on the rug making world as a whole, particularly during the 16th century, when the styles and motifs of these striking Persian rugs became popular. Winding patterns and beautiful colors dominate the landscapes, and in this particular piece, the viewer is treated to a brilliant collection of hues, cool and elegantly arranged in order to convey an expertly conveyed tranquility. 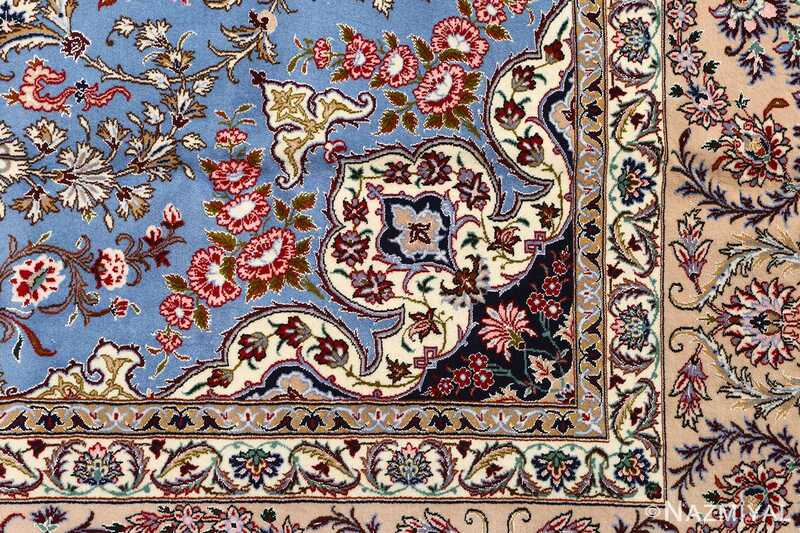 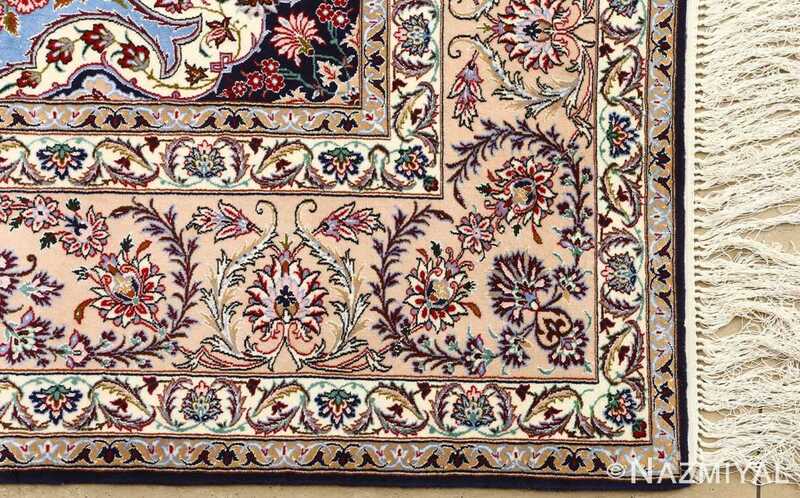 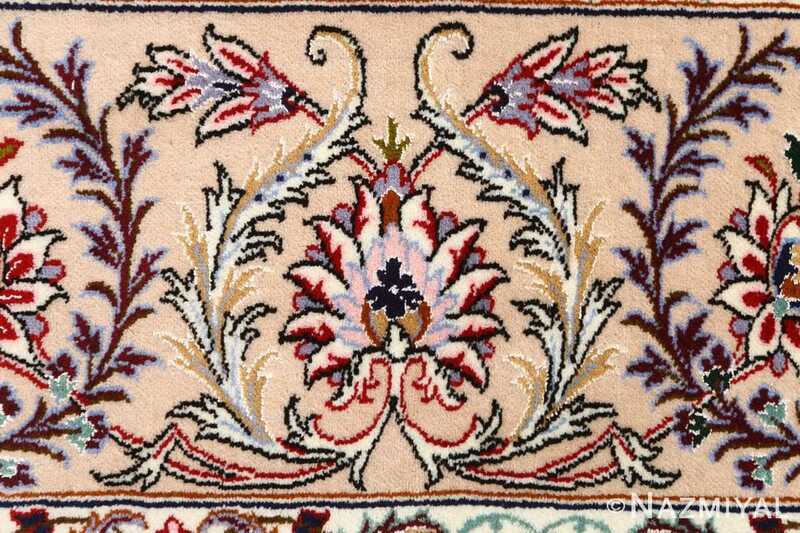 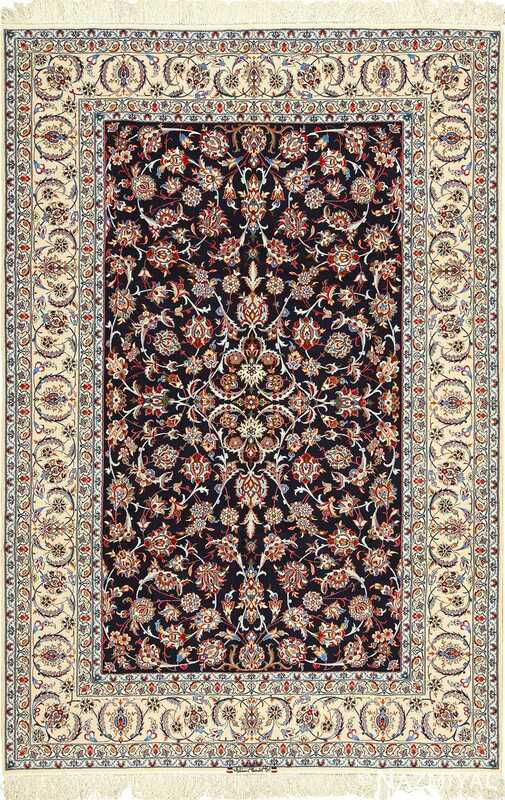 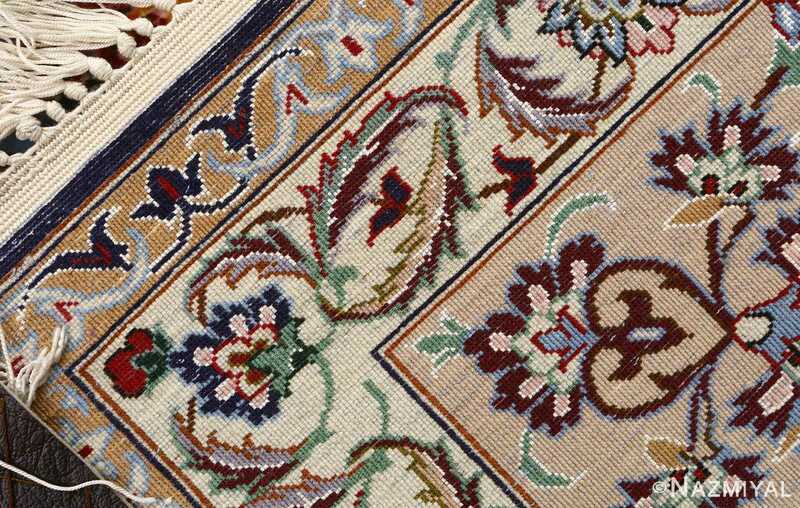 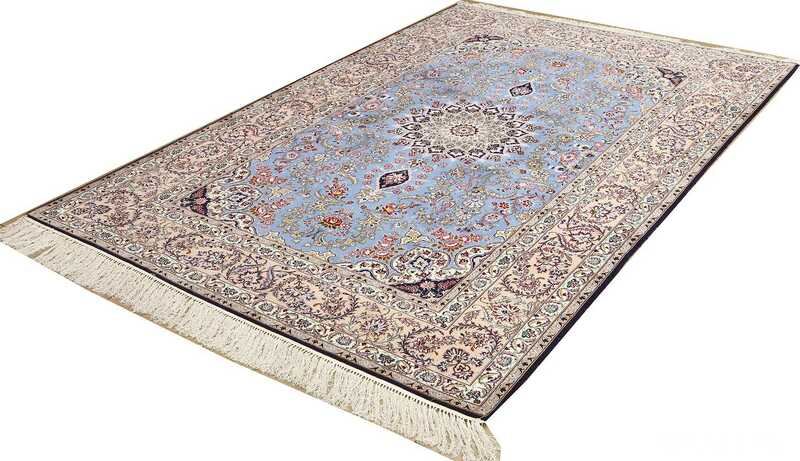 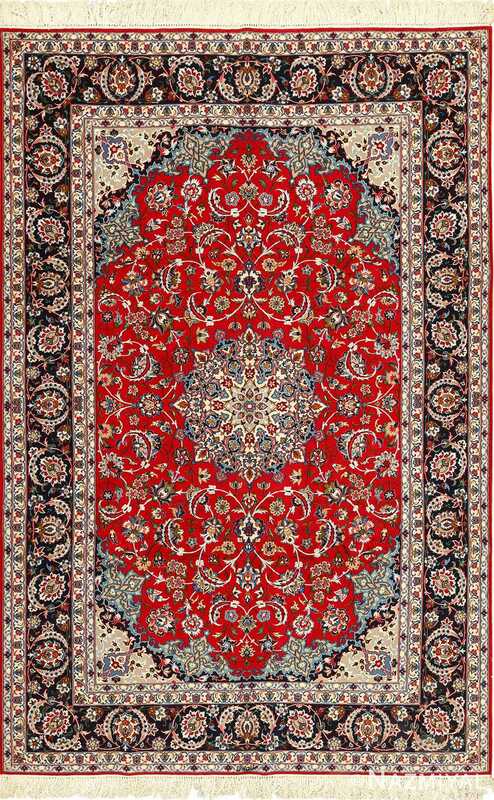 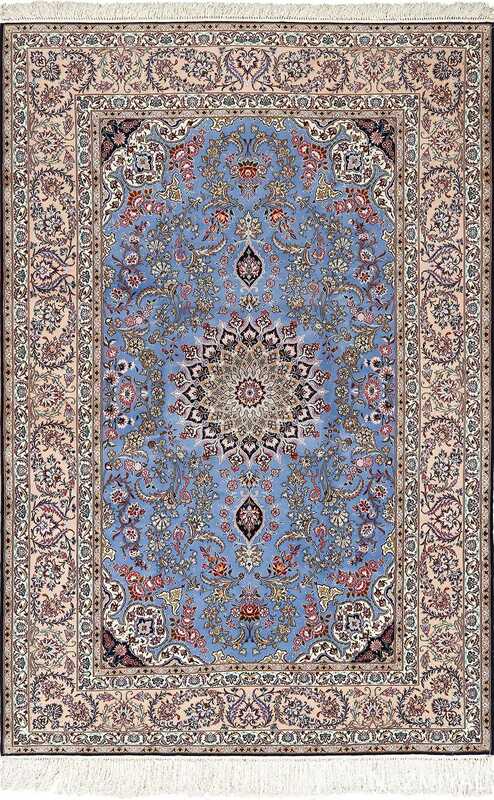 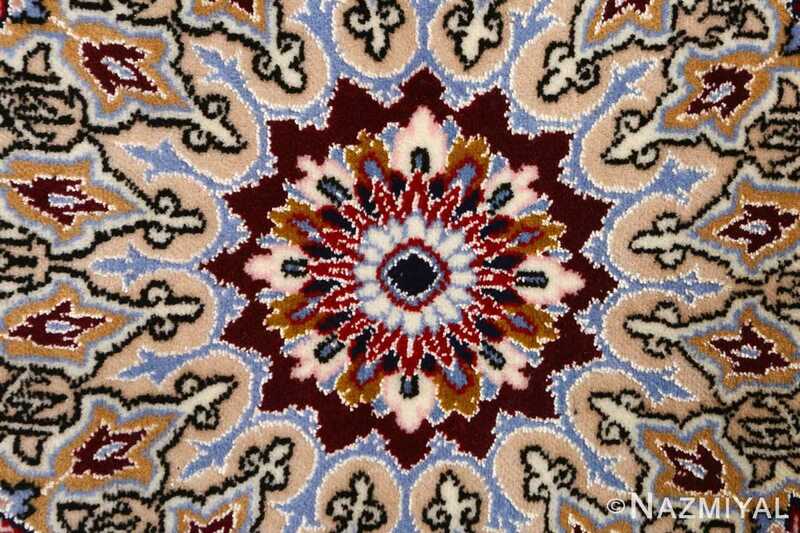 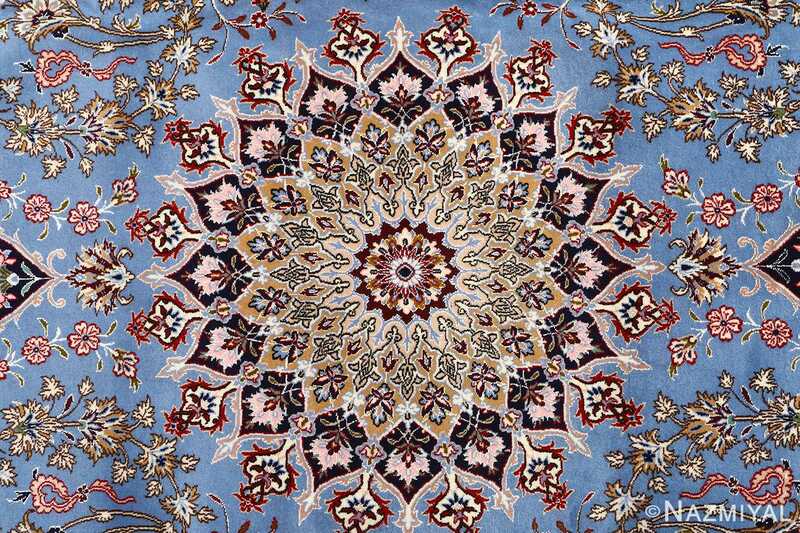 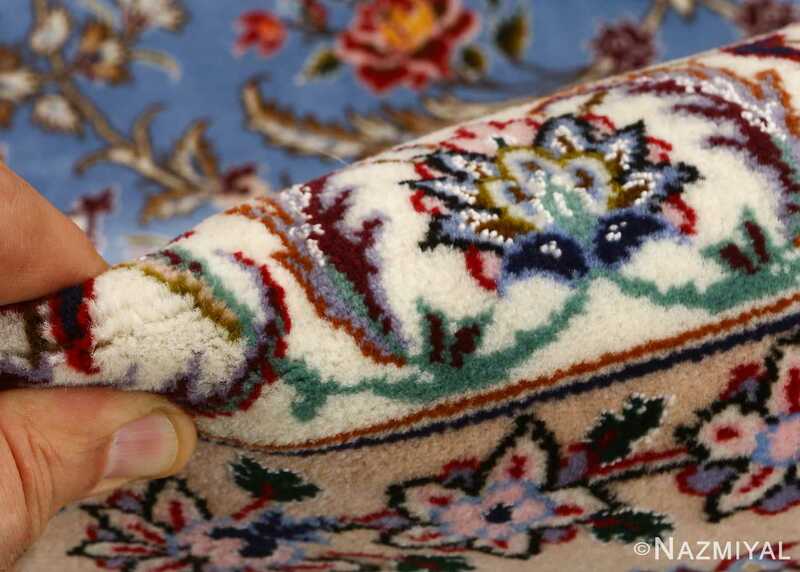 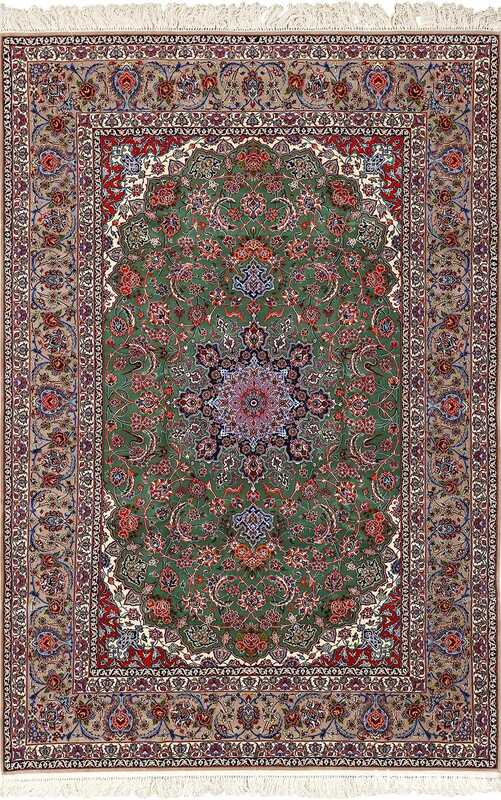 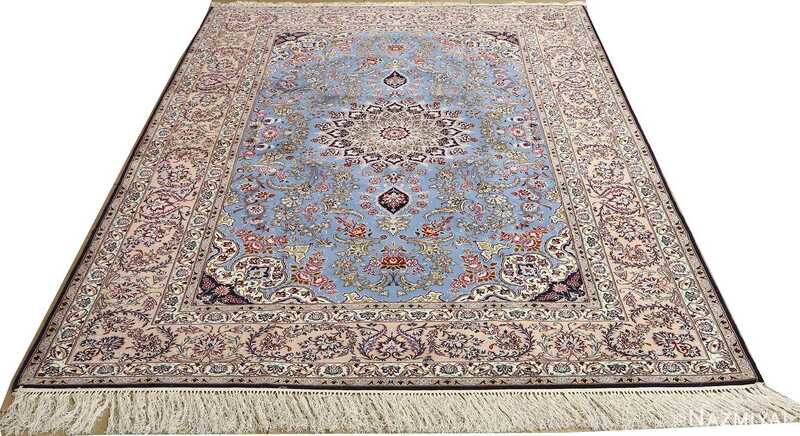 Many of the tones are repeated throughout the Oriental rug, particularly around the edges and heart of the Persian vintage Isfahan rug, where the earthy tones are at their most defined and memorable amidst the otherwise cool color palette.